You must be a member of the London Climbing Group to attend this activity. Would you like to join this group? Helping you meet those New Years Targets is our first bouldering session of the New Year! 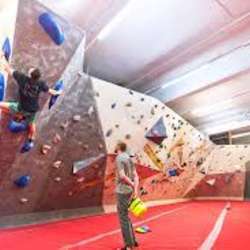 Meeting atProtected content which is one of the best climbing gyms in North London, informal classes may be available at 1pm. We have been going to an Indian dessert place nearby called Twist( Protected content ) after climbing. Please let me know or put a comment on your experience (first time or have climbed before) - Thanks and hope to see as many of you there!